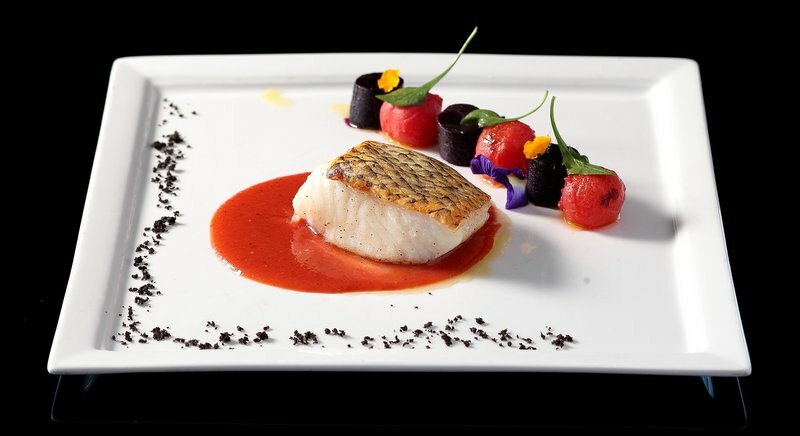 Pan-seared Snowfish Fillet with Bloody Mary Reduction, Watermelon and Beetroot from Plum. 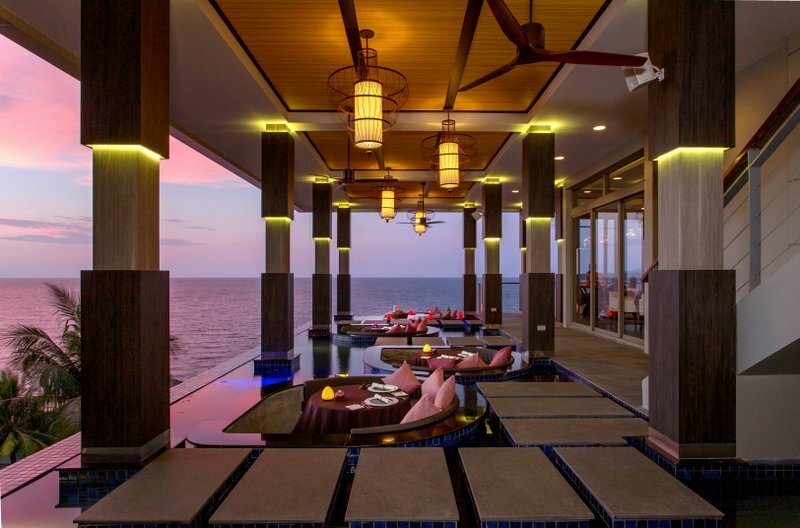 The Cape Sienna Hotel and Villas stands proudly on a magnificent hillside commanding sweeping views across Kamala Beach. 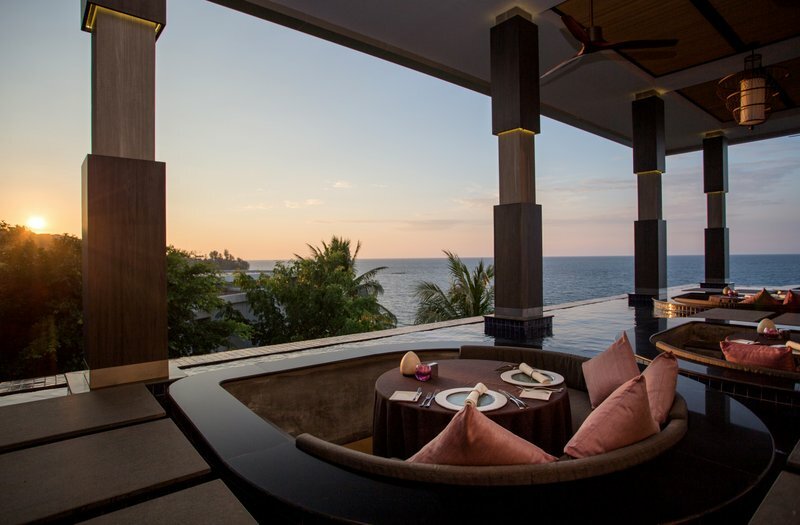 On the upper two floors of this immensely stylish resort are two of Phuket’s finest eateries, and the very fact that they are located one on top on the other, is enough to make any food-lover salivate at the prospect of all the gourmet experiences on offer. 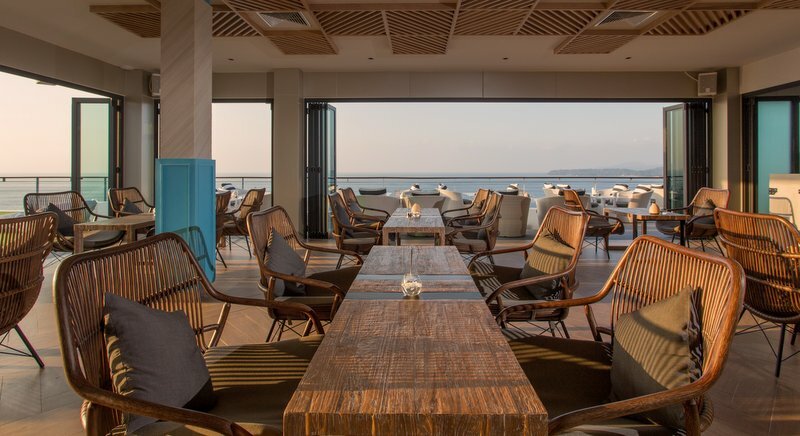 Cape Sienna Hotel itself is a haven of good taste and style and the Plum and Vanilla Sky restaurants fully reflect these qualities in their location, setting, ambiance, service and cuisine. To dine at either restaurant is a great pleasure and a feast for all the senses. 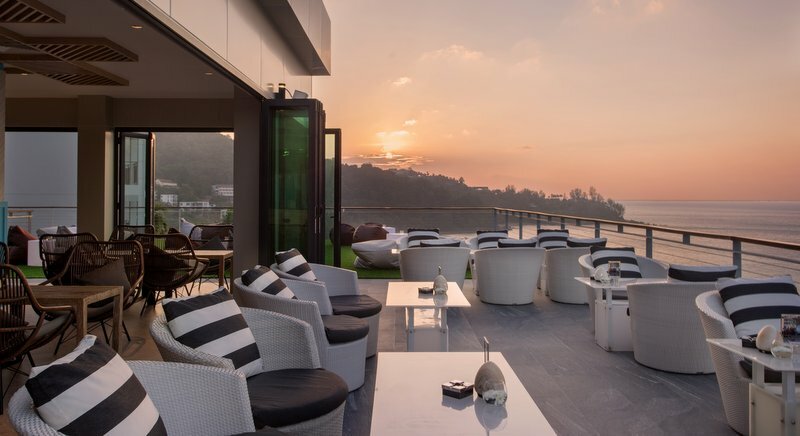 You ascend the vertiginous hillside up to Vanilla Sky on the resort’s top floor in an elevator on the outside of the building and this dramatic ride, with its attendant startling views, sets the tone for the breath-taking scene that awaits you. 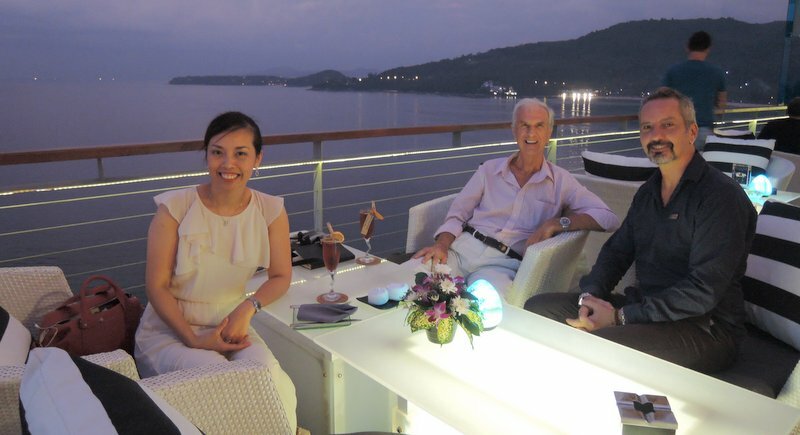 As we started our journey into the heart of good taste at Vanilla Sky, the stunning views across Kamala Bay were painted by a pyrotechnic extravaganza of deep evening colours… pinks, purples and gold… as the westering sun traced its final evening trajectory toward the horizon. Cool sounds and vibes filled the air as beautiful couples sipped elegant hand-crafted drinks. The views and ambience were so fabulous that we definitely wanted to stay and savour the full range of fine faire on offer at this Gastro-Pub, Bar and Lounge, which has been completely remodelled and expanded with its own dedicated kitchen. With my cold Belgian draft in hand and Madame sipping a stylish Elderflower Old Town while we nibbled some mouth-watering gastro-grub snacks, while enjoying a sunset conversation with Executive Chef Francesco Greco and F&B Manager Giuseppe “Pepe” Viva. Francesco is the epitome of the well-polished executive chef and a fine advertisement for the fabulous faire that his team sources, cooks and serves, being well proportioned and beaming. Clearly a man who enjoys fine food he immediately says, “My mission is not to make people skinny, it’s to make them happy, and this we do by finding the finest ingredients from all over the world, no matter what the cost and difficulty in doing so. "Look at our young lamb for example, we select from the correct flanks of the Pyrenees Mountains, only the very young, sweet-fleshed lambs depending on the season, how the weather has been and so on. 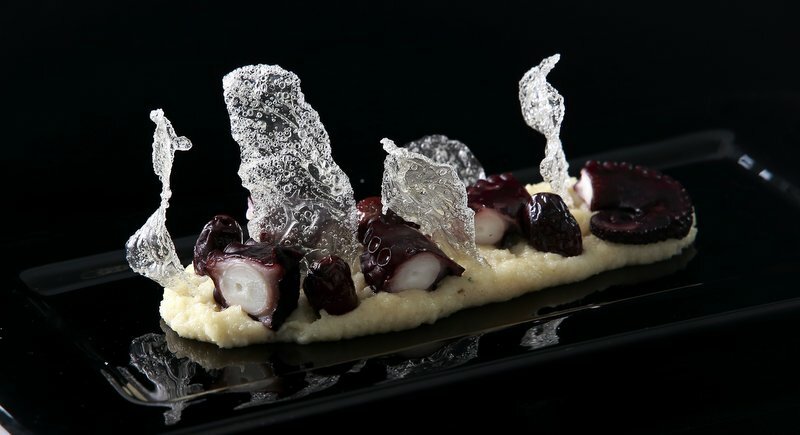 It’s a demanding art, but worth the discipline as the taste benefits are sensational," he says. This meticulous attention to detail is a signature of Francesco and Pepe who are fanatical about selecting the finest freshest produce and then preparing and serving it to perfection. 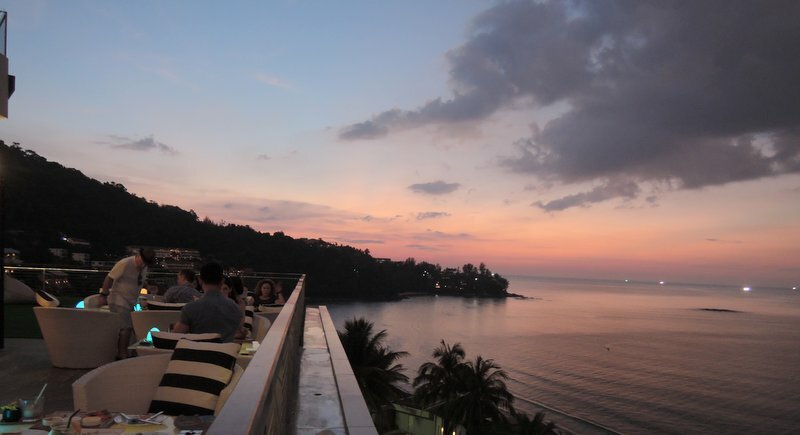 It was these sensational descriptions that tempted us out of Vanilla Sky and downstairs to the lovely balcony of Plum itself, one of the finest of fine dining restaurants in Phuket. 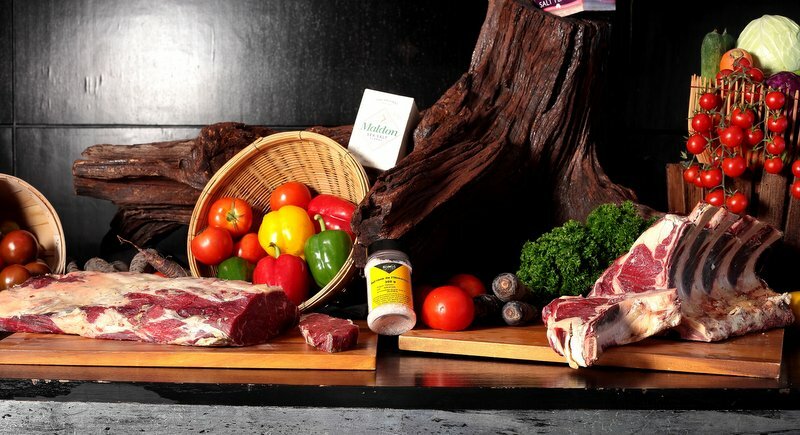 A central facet of Plum is the charcoal-fired oven which bring a touch of alchemical magic to the preparation of the finest cuts of US or Aussie beef, or the aforementioned baby lamb, or the succulent array of local and imported fish and seafood. A comprehensive cellar offers fabulous vinous complements to all this, from both the Old and New Worlds and spanning a plethora of styles, varietals and price points. Continuing the innovative theme at Cape Sienna is a new Sienna Rocks outlet across the road and right on the cliff-edge overlooking the bay, where sumptuous breakfasts of eggs Benedict, crepes, seaside waffles and Danishes fresh-baked by the poolside will hold sway at sun-up, and Japanese Kuroge Washu beef and hand-boned quail at sunset. That’s why a Plum with a Vanilla Sky on top is the dish of choice for food lovers. call +66 (0)76 337 300.